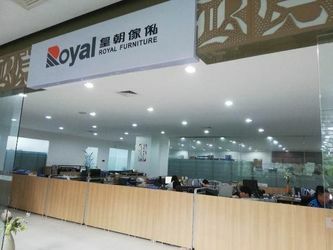 Established in 1994, with production bases in Guangzhou, Royal has grown rapidly to become one of the biggest furniture manufactures in the furniture industry. 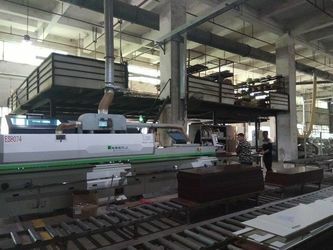 Covering the area of 400,000 sqm, employing a staff of more than 2,000, and the panel production line consists of fully computer-automated machinery imported from Homag and Holzma in Germany and Biesse in Italy, including a UV painting line. 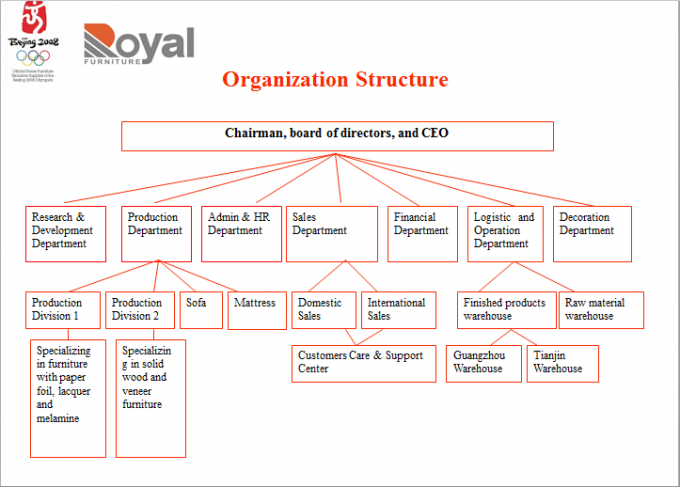 One of the biggest sales net-work in China, Royal has about 2000 franchiser stores and outlets in all of China. 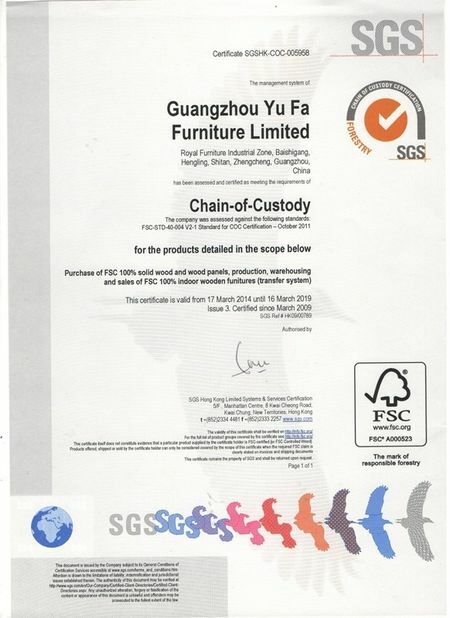 Official Home Furniture Exclusive Supplier of the Beijing 2008 Olympics, Royal has provided 23,259 beds and 14,000 sofas for the Olympics. 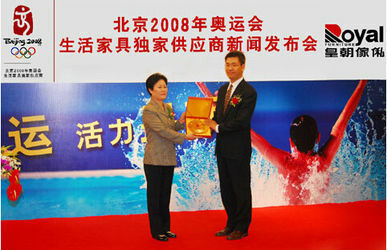 Awarded the home furniture and office furniture exclusive supplier of Universiade Shenzhen 2011. 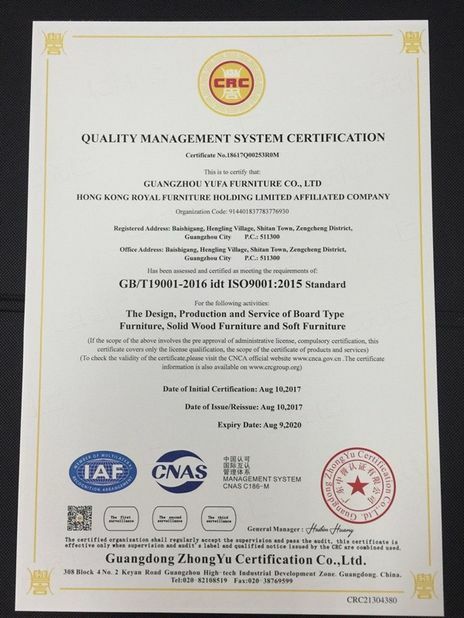 Furnished hotel furniture and apartment furniture in China and overseas countries, made OEM order we received from our overseas customers such as from Holland, USA, Germany, U.A.E, Saudi Arabia, Qatar, Eygpt , Africa and Russia. 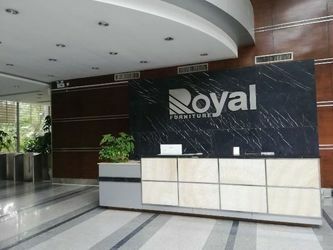 Royal Furniture successfully listed on the main board of HKEX (stock code 1198.HK), and became the first Hong Kong listed company in China’s furniture industry. 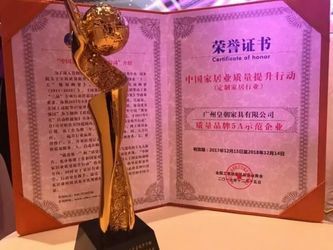 Royal furniture won " Quality brand 5A enterprise" in the chinese furniture industry quality promotion action. 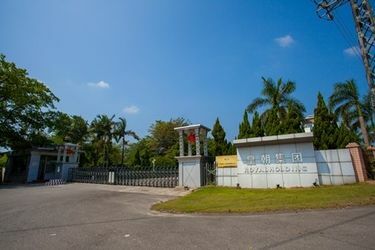 *Professional Sales Team with 15 staff In charge of Export Business. 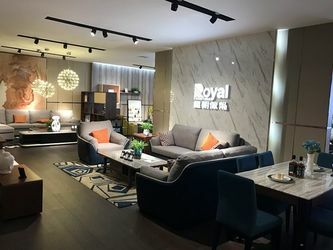 *Design Team: Royal Company has become one of the furniture industry's largest design team, has picked more than 100 design awards. *Strict Quality Control: Royal furniture asserts that every product is subjected to 38 quality inspection process, each kind of hardware pieces are to bear 1 00000 times life testing, each kind of packaging should be subjected to comprehensive anti drop test. 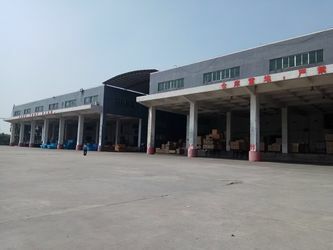 Because of Royal has the sound test system, the product can be exported to the United States, Europe, Australia and Asia more than other area. 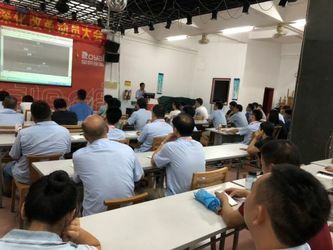 * After Sales Service is the real responsibility for the customers.